About Us – Richmond Thermal Solutions. 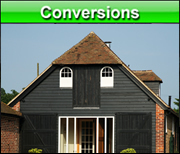 About us – Richmond Thermal Solutions have been undertaking SAP Calculations / Thermal Calculations for over ten years. John Young who founded the company was a Building Control Officer prior to the formation of Richmond Thermal Solutions, therefore having continued knowledge of modern construction, techniques and Building Regulations legislation. We offer a wide range of services, and any services we do not offer we can generally arrange for you as part of our one stop shop service. Our calculations cover building from domestic extensions , property renovation, conversion schemes, one off bespoke dwellings to large scale residential developments. We also cover non domestic schemes. Please see our linked services menu. Our services are listed on the left hand side of the page. We are very experienced in our field and pride ourselves on forming close relationships with our clients, (see testimonials) and are also contactable outside of normal working hours, which our clients find very helpful. If you involve us at the earliest possible stage such as design stage, we can help to specify the types of materials needed to achieve Building Regulations compliance and assist with more accurate pricing. Our calculations comply with the Approved Documents such as ADL1A, ADL1B, Part F, Part G and more. We can help specify the type of insulation, blockwork, boiler efficiency, type of renewable energy etc. Once we have specified the requirements for walls, floors, roofs, heating systems etc. the designer can then upgrade their specification for Building Regulation and pricing purposes. We carry out most calculations in England, Scotland and Wales. We like to hear from our clients, potential clients or anyone who simply have any queries. Please feel free to contact us with any questions about us, regarding a scheme, or for advice in general. If you would like to make comments on our Blog. Thankyou for visiting our website on behalf of myself and Richmond Thermal Solutions.